Located in the historic Hermon pocket of Highland Park, this dreamy 1901 farmhouse has recently undergone an extensive designer renovation. 4 bedrooms, 3.5 baths, and 1,800 sq ft of living space have been thoughtfully updated in a neutral palate with white oak flooring and black hardware accents throughout. A gourmet kitchen with quartz counter tops, red oak shelving, and a commercial-grade convection oven will inspire you to create while a newly landscaped private yard and deck encourage you to unwind. Two generously appointed master suites, custom bathroom vanities with porcelain vessel sinks, dual pane windows, new HVAC & Nest thermostat, a soaking tub, a Dutch door, and an upgraded foundation are just the beginning. This incredible home is minutes from Debs Park, Hermon Park, and the Arroyo Seco with easy access to multiple hiking and bike trails, a dog park, tennis courts, playgrounds + Trader Joe’s in South Pasadena and all the delicious food and drink offerings from the Fig/York corridor. 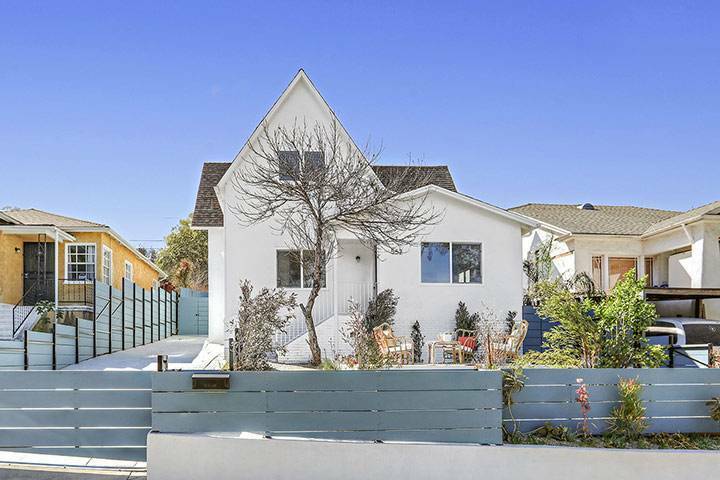 552 Redfield Ave – Asking $949,000. Contact me to schedule a showing before it’s gone!